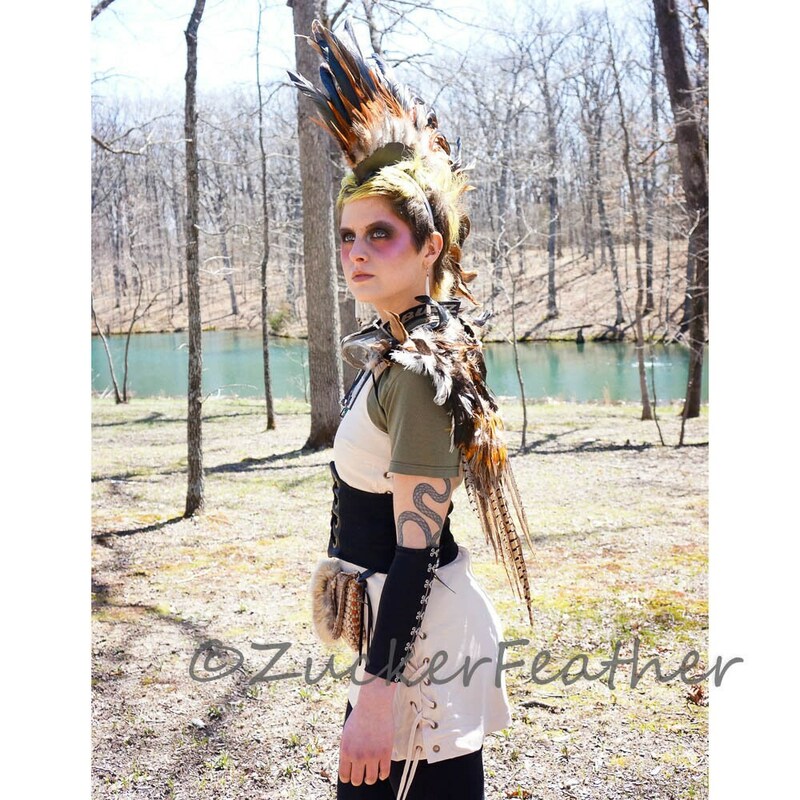 Zucker Feather Original Designs! 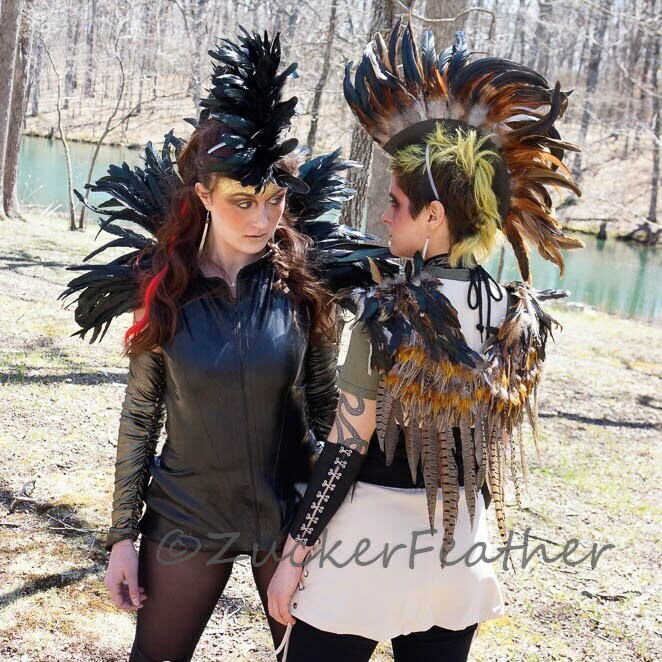 Over the Shoulder Natural Pheasant Feather Wings measure approximately 18x27 inches and are made with Natural Ringneck Pheasant Tail and Plumage Feathers. 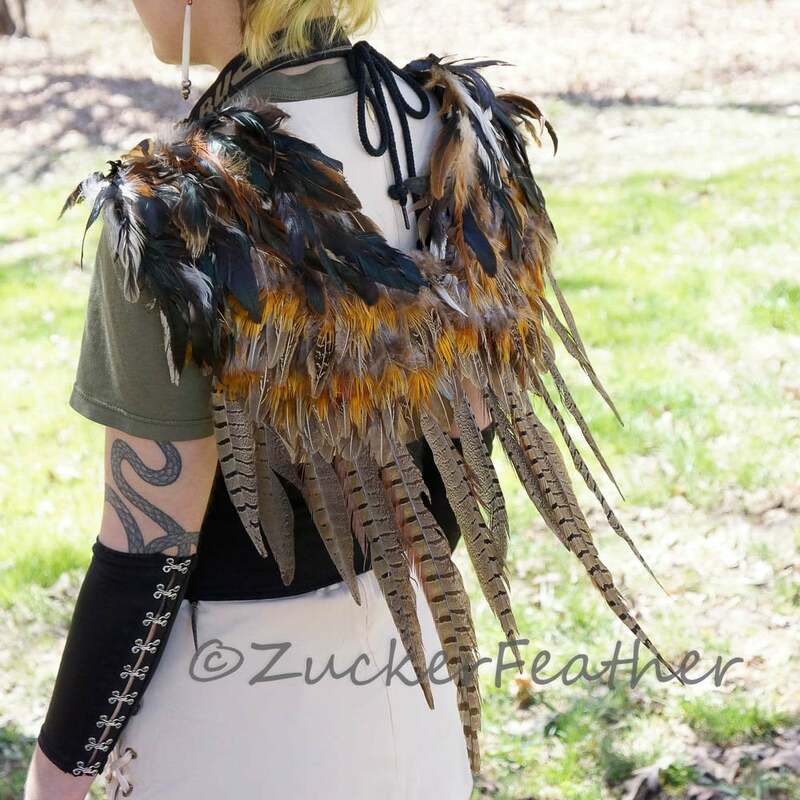 These over the shoulder Pheasant Wings have adjustable elastic straps for a comfortable fit for any size. The perfect accessory for that out of the ordinary costume or event. 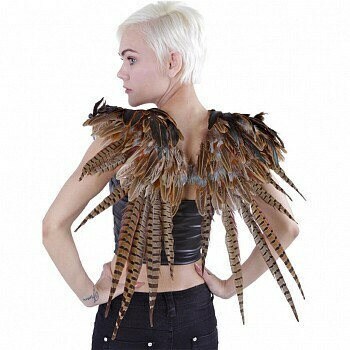 Complete your fantasy costume with these fabulous feather wings. FLAT PACKED FOR SHIPPING PURPOSES; Adjust wings by carefully bending over shoulder to customize size. ALL Custom Fees or Duty Taxes associated with the international purchase of Peacock, Pheasant, Ostrich or Partridge Feathers and Products are the responsibility of the buyer and are Non-Refundable. In rare circumstances, Customs or Immigration can seize items and/ or can cause a delay in delivery. Our products are made with natural materials; therefore each item will have unique differences and variances.